I am really going to miss Familia Sanchez, and the Familia de Jose. Eva accepted to be baptized this week. She will be baptized on Dec 8 which is the Day of The Virgin Mary. She is leaving her Catholic roots behind on a symbolic day. Shes theatrical, I am sad I will miss her baptism but I am excited that she will be baptized. Leonel has been a really good friend to me and I will really miss messing with him. I hope he serves a mission. He would be great. 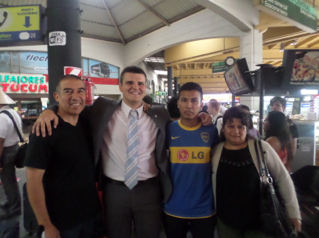 I really hope José continues to progress in the Gospel, and become a priesthood holder. I will miss the opportunity to see him receive the Priesthood in December, but oh well. I know he is in good hands.